If you have any questions about the TECHNEMA 120/03 information page below please contact us. Cantieri Navali Rizzardi completed motor yacht TECHNEMA 120/03 in 2008. As such, she has the distinction of being built within Italy. 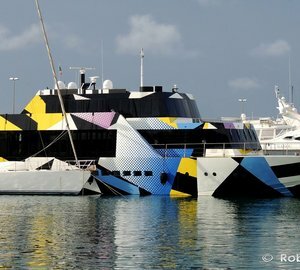 TECHNEMA 120/03 had yacht design work compiled by Cantieri Navali Rizzardi and Cantieri Navali Rizzardi. This superyacht TECHNEMA 120/03 can accommodate overnight the number of 10 aboard as well as 5 operating crew. Ready for launch for 2008 her reasonably recent interior design reveals the contemporary perceptions which are originating from Cantieri Navali Rizzardi and the owner who commissioned the yacht. Cantieri Navali Rizzardi was the naval architect firm involved in the professional superyacht plans for TECHNEMA 120/03. Also the company Cantieri Navali Rizzardi skillfully collaborated on this venture. Interior designer Cantieri Navali Rizzardi was employed for the creative internal ambience. In 2008 she was formally launched with triumph in Sabaudia and post sea trials and detailing was then passed on to the new owner. Cantieri Navali Rizzardi completed their new build motor yacht in Italy. Her hull was built out of GRP composite. The motor yacht superstructure component is made for the most part using grp. The 16V 4000 M90 engine powering the yacht is produced by MTU. Connected to her MTU engine(s) are twin screw propellers. The main engine of the yacht generates 3650 horse power (or 2723 kilowatts). She is equiped with 2 engines. The combined power for the boat is 7300 HP / 5446 KW. Offering volume for a limit of 10 visiting passengers overnighting, the TECHNEMA 120/03 accommodates everyone luxuriously. Normally the vessel requires approximately 5 capable yacht crew to manage. 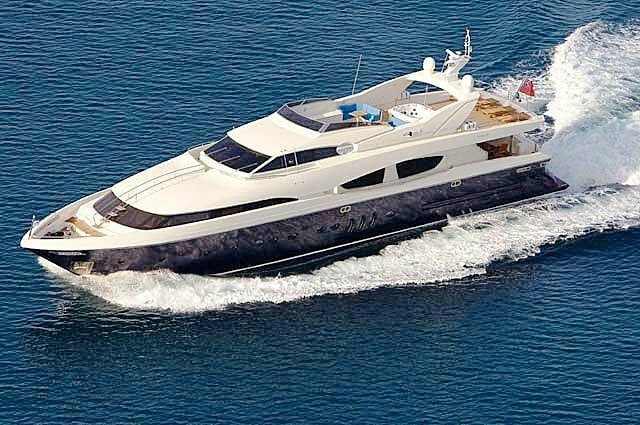 The luxury yacht TECHNEMA 120/03 displayed on this page is merely informational and she is not necessarily available for yacht charter or for sale, nor is she represented or marketed in anyway by CharterWorld. This web page and the superyacht information contained herein is not contractual. All yacht specifications and informations are displayed in good faith but CharterWorld does not warrant or assume any legal liability or responsibility for the current accuracy, completeness, validity, or usefulness of any superyacht information and/or images displayed. All boat information is subject to change without prior notice and may not be current.